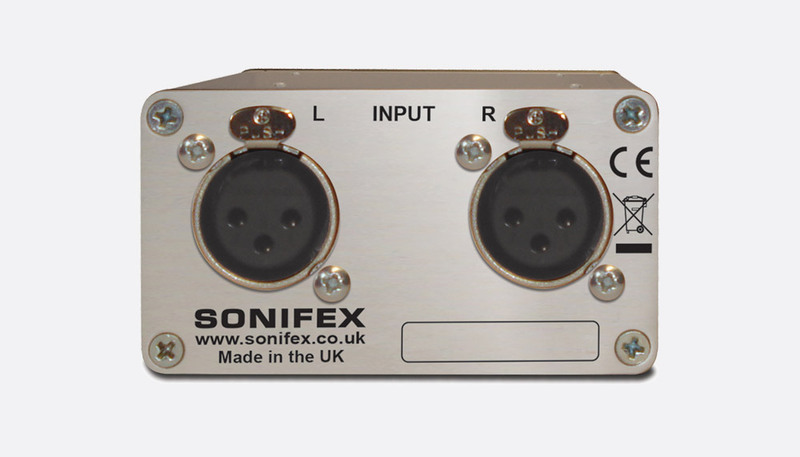 Sonifex CM series headphone amplifiers have been designed with a compact form to aid ergonomic positioning for those requiring control over headphone volume. 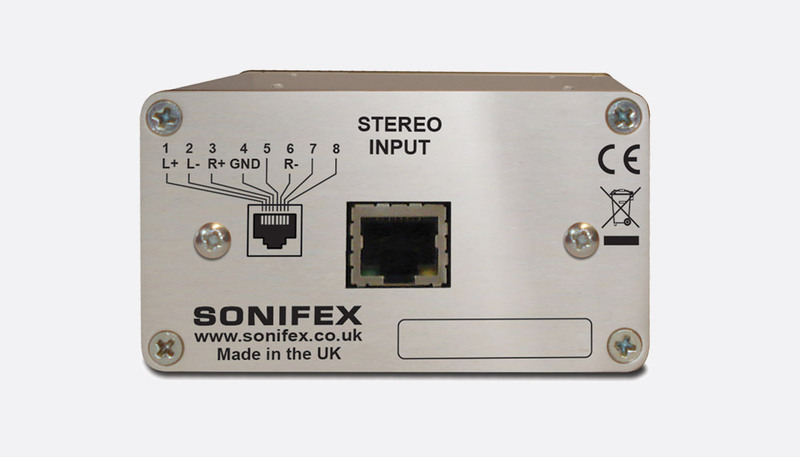 This compact unit allows the connection of a balanced analogue stereo line input via RJ45 with 'StudioHub+' pin-out. The RJ45 connection is located on the rear facing panel of the HPR1. 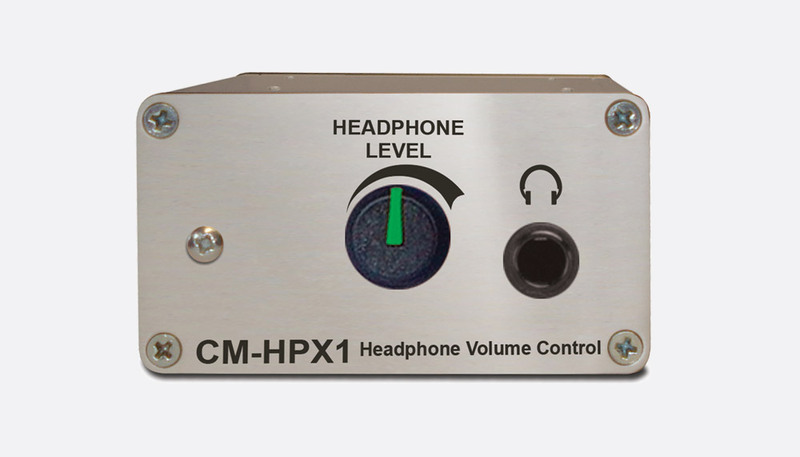 The front facing panel has a rotary volume control and 6.35mm headphone jack socket for use with headphones with an impedance above 150ohms. An internal transformer with a ratio of 2:1 ensures that any headphone load presented at the output is reflected through to the input at a 1:4 ratio. 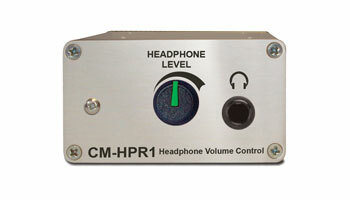 The headphone level will be at half the level on the incoming signal with the volume control at 100%. 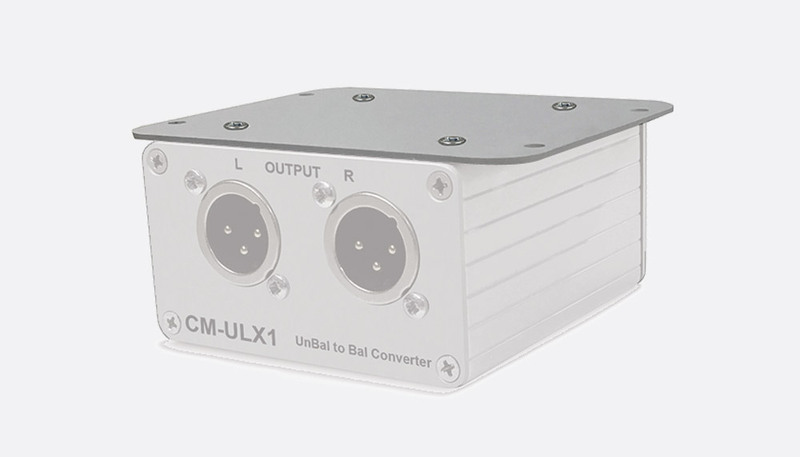 This has the same specification and feature set as the CM-HPR1, however the stereo analogue inputs are on balanced 3-pin XLR as opposed to RJ45 connector. All of the Passive Packs, along with the CM-TBU and CM-TLL, can be mounted to the underside of a desk using the CM-MNT1 desk mount plate. This fixes to the top side of the product and screws to the underside of a surface.